When your pup sees a new person, do they run to get away or hide behind your legs? This experience can be harrowing for both the owner and dog. Thankfully, with some pet training, you can help your pup calm down around strangers and, hopefully, even learn to like meeting new people. What’s the trick? Below, you’ll find three tips to try at home to desensitize your furry pal and reduce their anxiety. Your dog will likely become overwhelmed and frightened in places that are full of people. That means everything from farmer’s markets to intersections may be off limits until you can undergo pet training that helps mitigate these worries. Stick to side streets with low-traffic walkways to help your pup get comfortable on walks and cross the street to avoid interacting with strangers as necessary. When your pup isn’t sure what to do, they likely have a natural default behavior, like cowering behind you. With some positive reinforcement training, you can change this to get the dog to look at you when they don't know what to do. Reach this goal by randomly stopping and telling the dog to “Sit, watch me” by waving a treat for them to see. Feed them a piece if they obey. Follow this procedure many times throughout walks with no warning. This habit is helpful if the canine gets scared suddenly. They’ll stare straight at you, and you can coach them through the moment while leading them to safety. 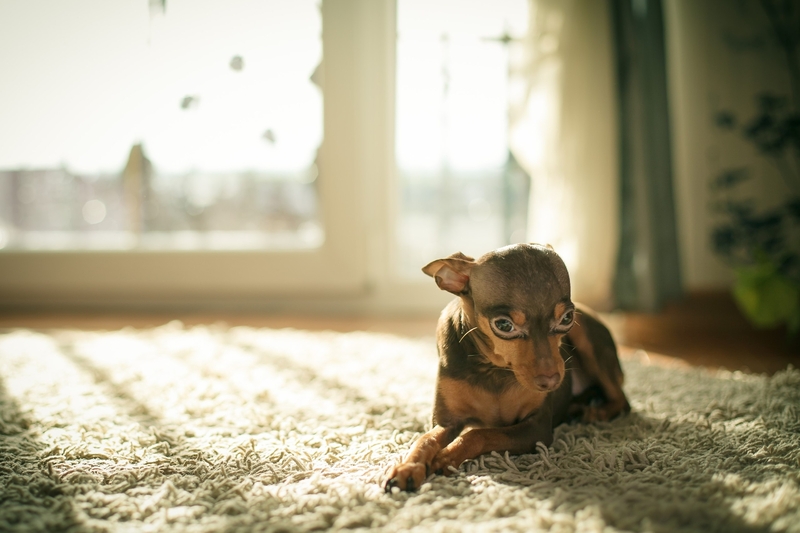 It’s easy for dogs to get overwhelmed when people stop by their home since they will often want to interact with the canine. For dogs who fear strangers, this can be very stressful. Ask your guests to pretend they don’t know there’s a dog while feeding the pup treats as they slowly gain confidence to enter the room. Eventually, the pup will see visitors as a sign they’re going to get treats, which will help them want to come out and be visible. Almost Home Pet Resort in Ft. Mitchell, KY, has provided boarding and pet training services to area cats and dogs since 1995. Their talented team provides around-the-clock care for boarding residents while their pet training experts offer behavioral help for families in need. To learn about their on-site accommodations, grooming, and other services call (859) 356-8181 or visit the website.